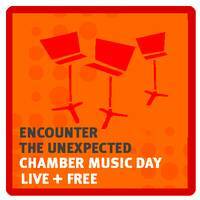 Free and fun for everyone - adults, children, childish adults, adult children ... multiple ensembles performing multiple genres of chamber music in various venues at the deYoung. The day goes from 10-5:30. BELLA will be performing at 3:30 in the Koret Auditorium.